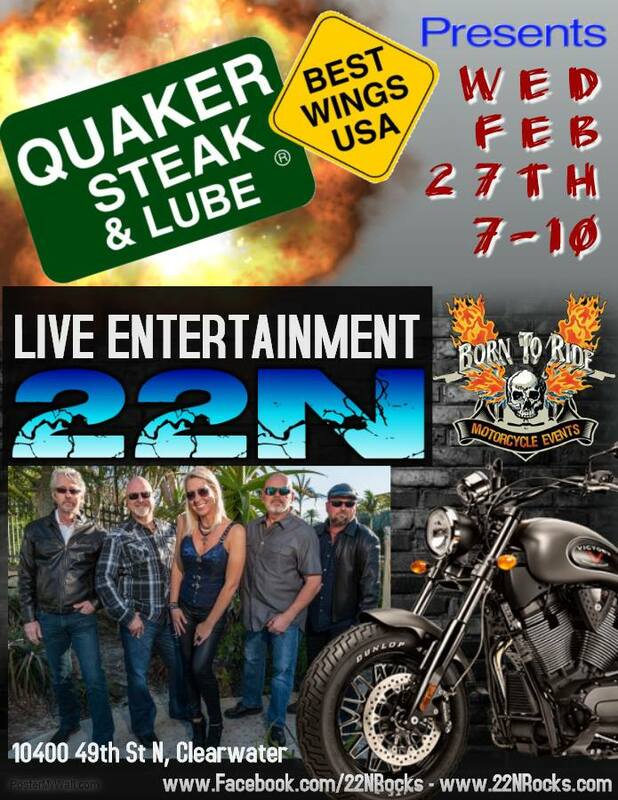 Come Join 22N and be part of the LARGEST BIKE NIGHT in the Tampa Bay Area with Quaker Steak & Lube and Born to Ride TV & Magazine!! 22N back by popular demand will be Rockin' Quaker's Bike Night in an all out Rockfest!! Don't Miss Out!! !